Instead of using voicemail, forward your missed calls to your personal assistant. She can pick-up the call for you and respond to standard issues on your behalf. Something urgent? No problem, she'll contact you right away. All those minutes checking voicemail each day add up to hours over a week or month. 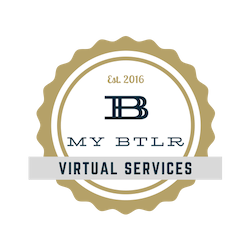 My BTLR can help you gain control of your voicemail and give you more hours in the day to focus on your core business. Let My BTLR help you get off the phone, and on with business. Call us today at 866-575-4559 to learn how we can take time-consuming tasks off your plate so you can concentrate on the important things.